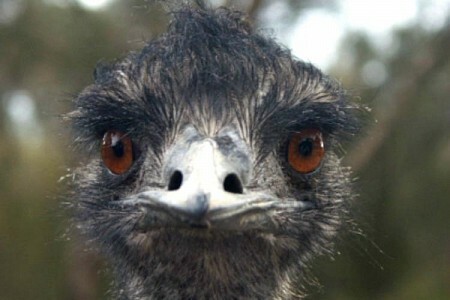 Emus, the ‘big birds with little brains,’ are set to get their very own underpasses in New South Wales, Australia. Photo credit: Dan Thorne/TNT Magazine. The busy and dangerous Pacific Highway on the east coast is a death-trap for the bumbling emu – and so New South Wales state roads authority intends to protect the small emu population in the area, according to Reuters. The third largest bird in the world and can reach running speeds of up to 30mph – and stands at around 2 metres (6.6ft) tall. There are currently already tunnels built to protect reptiles and koalas who head towards the highways. The state will make the decision to build special emu underpasses later this year. 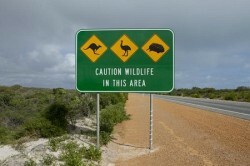 Whale was also concerned that allowing the emu population to spread over both sides of the Pacific Highway would upset the breeding patterns of the birds “They need a certain critical number to survive and if you cut them in half, and have half on either side of this new road, then it virtually guarantees their extinction,” he told ABC news. A proposed extension upgrade to the highway is concerning wildlife conservationists. The National Parks census found that only 120 emu remain in the Clarence Valley region.